If you were thinking of a dream getaway soaked in luxury, here are seventeen of the most beautiful luxurious locations that will make you want to pinch yourself… So if you feel like you need a getaway, any one of these dream locations will do. 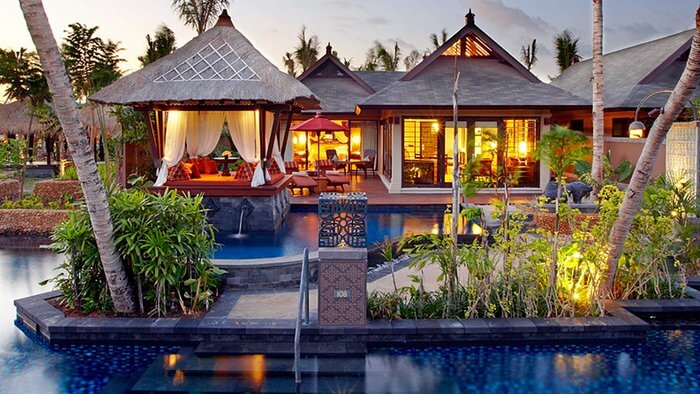 Bali is known as the island of the Gods, and this resort shows us why. -Here you get a private villa, with your own pool, access to the hotel’s plot of white sandy beaches, as well as being surrounded by nine hectares of tropical landscape. Now that’s luxury!